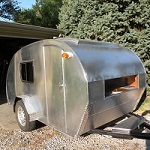 Teardrops n Tiny Travel Trailers • View topic - Tow Vehicle possibilities Best Mileage-Hybrids? Tow Vehicle possibilities Best Mileage-Hybrids? Re: Tow Vehicle possibilities Best Mileage-Hybrids? Scraping the receiver isn't the end of the world. Unnerving yes, but usually not a big deal. Scraping the trailer however is no good. If the trailer is angled up when hitched to the truck, that points the rear of the trailer down and would explain the rear end scraping. This can be altered with different raise/drop on the ball mount on any vehicle. Raising the front wouldn't really affect towing clearance, but if you find you need front end clearance on a day to day basis then I don't see why not. However, also factor in that when you make these type of changes, especially in the front end, it will affect the alignment angles. So getting an alignment done after the lift is installed is highly recommended. I know this is an old thread, but hybrid vehicles and electric vehicles have been on the rise as well. I just joined the forum and I am using an Audi A3 e-tron (plug-in hybrid) to tow a T@G Sofitel. I have only towed it once, but now I'm getting ready to do a multi-day trip all the way from AZ to MT and across to ND then down in to Denver CO. We will see what type of mileage I get. I hope I get above 20 as I normally get 35 on the highway at 80mph and only have a 10gal tank. Chaverim wrote: I know this is an old thread, but hybrid vehicles and electric vehicles have been on the rise as well. I just joined the forum and I am using an Audi A3 e-tron (plug-in hybrid) to tow a T@G Sofitel. I have only towed it once, but now I'm getting ready to do a multi-day trip all the way from AZ to MT and across to ND then down in to Denver CO. We will see what type of mileage I get. I hope I get above 20 as I normally get 35 on the highway at 80mph and only have a 10gal tank. My Outlander PHEV (purchased in Jan) has towed Wee Frilly (my somewhat teardrop whale) from Austin TX to Durango CO (over 7k ft elevation). I wasn't actually calculating by hand every fill-up, but if I trusted the onboard computer I was getting about 18 mpg most of the time between 65 and 70 mph. Less on the way there, more on the way back. The Outlander PHEV does have an official tow rating (1500 lbs) and my trailer probably totalled around 600 lbs (half trailer, half whale and tents and pillows, just guessing). My trailer is pretty high off the ground, I would likely get better aerodynamics if I were on a lower platform. Like the audi etron mentioned above, I have a small gas tank by normal standards, 12 gallons. In west Texas, on I-10 on the way back, very nearly ran out of gas as there were great stretches between fuel. We weren't (and probably wont be) boondocking, so the fact that the PHEV can act as a generator and battery bank wasn't as useful as I had thought. On the other hand, I could get a full battery (~22 miles worth, without the trailer) each night for exploring/shopping/etc. Unlike some other hybrids, the Outlander PHEV has no transmission -- it's electric-drive all the time (with a single clutch that can engage the engine to the front wheels above 42 mph). Between that and the official tow rating, I didn't worry about the vehicle being overloaded in any way. Works great for me so far. Well, the trip started off bad due to a puncture in the to vehicle, but now the trip is going well. My 1.4L 4 cyl plug in hybrid is getting about 21mpg going from phoenix metro AZ to the 4 corners and up through the mountains of CO to Denver. 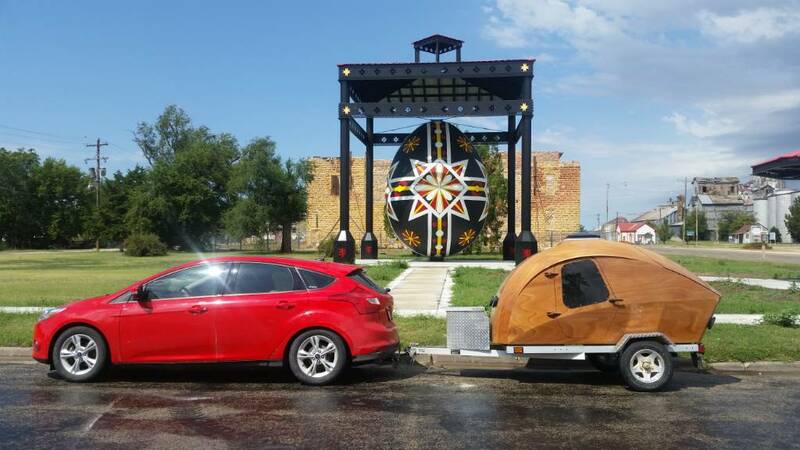 I get close to 30 mpg towing my #500 lb tear with my 2014 Ford Focus manual transmission. any one tried the Prius V??? "Toyota Prius V Towing Capacity, Having a Toyota Prius V maximum towing capacity of 725 kg or 1,598 pounds. The new-gen Prius was designed to tow a trailer or mild, for the very first time in its own 19-year history." 43 city 39 hwy and it holds more then other prius's.